Who doesn’t love a frosty, cold treat on a warm summer day?! Check out a three dog-friendly treats spots you need to visit with you pup this season located throughout the city! Yappy Treats Cart: Out on a hot day and looking for a refreshing treat for your pup?! 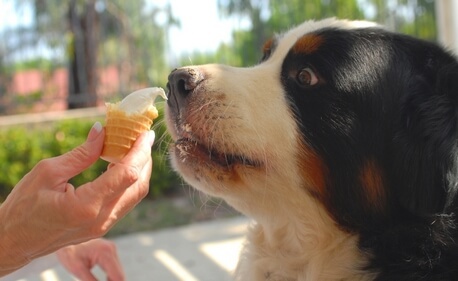 Well, frozen yogurt treats for you pup is the answer! Yappy Treats has some pup-mazing flavors like Peanut Butter Banana Carob, Pumpkin Bliss, Carrot Tuna and much more. All the treats are natural, healthy and made with organic, local ingredients. The Yappy Treats cart travel around in the city. To find out where the cart will be next, click here. Want a Yappy Treat right away? Here’s a list of locations that sells some of these delicious frozen treats! The Frozen Forest Doggie Delights: This pawsome place says the way to your dogs heart is through frozen ice cream…and we couldn’t agree. The Frozen Forest has some fun, interesting ice cream names like irresistable cat, shoe and squirrel flavored ice cream. Of course ingredients are completely healthy and include: yogurt, carrots, turkey, chicken and much more. Your dog will love these little and irresistible treat cups! All treats are made to order and made with local organic ingredients. Yoghunt: With flavors like peanut butter banana and apple and cheddar, your dog won’t be able to resist dogyo from Yoghunt! All their frozen treats have billions of probiotics in each cup and help aid in a healthier digestive and immune system.